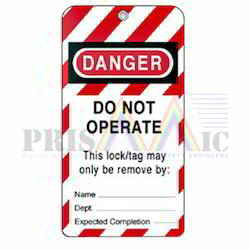 Owing to our in-depth knowledge in this domain, we are specialized in providing Printed Hang Tag. Paper Tyger is easy to print: “Write on and print bar-codes when required for the application. As well as being water and tear resistant Paper Tyger is ideal for luggage tags and cargo labelling. We provide all size of plain as well as pre-printed speciality tags that can suits to various industries for Steel Plates, Bags, Name Plate, Pumps and Pipes, Cold Storages, Powder Coated Surface, High Temperature Equipments etc. 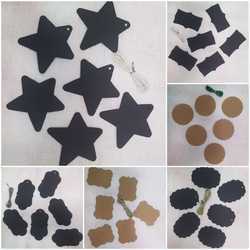 We are well-known and trusted firm in the industry for offering Tags. This product is available in a wide range of sizes and designs and known for their termite and scratch resistant nature. It is manufactured from finest quality basic material sourced from reliable vendors in the market. Our clients can avail these products from us at reasonable market price.